Mara is a partner and Director of Research at Ideas for Change , a think tank and consultancy firm advising cities, businesses and institutions on innovation, open and collaborative strategies, citizen participation, and exponential growth (see our latest framework @pentagrowth). Mara holds a BA in Audiovisual Communications, a postgraduate diploma in Media Arts and a MSc in Cognitive Systems and Interactive Media. She is a PhD candidate at the Intel Collaborative Research Institute on Sustainable Connected Cities (ICRI-Cities) at University College London (UCL). She is also a member of the UCL Engineering Exchange, advisor at the Open Faculty, contributor to the Sharing Cities Network, and co-organiser of the Ouishare Collaborative Economy Research Network. She teaches the course "Cities for citizens" in the Master in City Technology at the Institute for Advanced Architecture of Catalonia (IAAC) and is project lead for Making Sense, a European project that seeks to empower citizens through personal digital manufacturing applied to the design of environmental sensors. 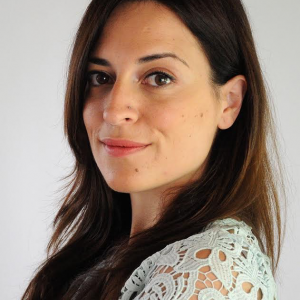 She has worked as a video journalist, has been a university lecturer and and research assistant at the Group of Interactive Technologies (GTI), at Universitat Pompeu Fabra (Barcelona).